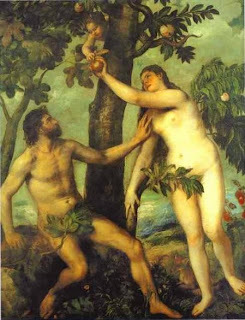 Is the Agency Model Really the Garden of Eden? People keep asking us what we think about the ‘agency model’. The question and tone in which it is delivered would imitate that they have doubts, don’t fully understand it, or that they are looking for reassurance. The agency model has been well documented and heralded by some as the ‘white knight’ to retake price control from the likes of Amazon and wrestle back control to the publishers. Some see it as ‘the solution’, others as a quick fix to the discounting problem. Some suggest that rather than fix it the discount issue it actually makes it worse and merely raises bigger and more complex issues. Some go forward appearing to believe that they can walk on water and that the power is back with the publisher, ‘were it should be’ The reality is somewhere in the middle and any solution that lands in the middle is not likely to solve the problem, but instead merely sit in the middle solving little. The economics makes sense to some. However, sceptics would suggest that the losers under the old model become winners and the winners under the old model become the losers. If retailers choose to sell at a loss they have to pay irrespective of the sale price at an agreed trade price. The trade price is what then constitutes receipts to the publishers and forms that basis of royalty to the author that are under net receipts agreements. So under the agency model the publisher effectively becomes the retailer and the retailer a mere fixed price agent. The sale price may have risen, but effectively the revenue collected by the publisher may be less than under the free market price. The consumer has to pay more, the tax man will collect more, the retailer makes more money, the publisher collects less and the author gets paid less. This may not be the case for all agency deals, but still makes little sense. We now have two new issues; taxation and retail price maintenance. We presume that publishers have worked out the implications on taxation and are happy to be retailer and accept the potential tax obligations. We also presume that UK legal council has been sought re the potential of some raising the position of the model being seen as reintroducing retail price maintenance. What the agency model clearly does is promote more authors to go solo on digital rights. The prize for digital self publishing has just risen and although this may not be a big issue for the major houses today, it is certainly one that is growing and sharpening its teeth. The more audible the noise in the market the more the consumer is not going to be happy. Imposing higher prices on consumers is not a wise move and as proven many times, is often one that comes back to haunt those who do it. Playing with author’s earnings is also not wise unless it improves them. We applaud the move by Ether Books into the digital short story. It makes perfect sense to us but is a significant model change for many. We suggest that the question of whether it will work or fails, is not down to the concept, but down to the execution. Short stories are free from the economic straight-jacket of 250 pages. They break the spine of writing as we have been conditioned to accept. They can be made into collections, be read as instalments or merely stand in their own right. Importantly they can be digested easily on the move and on today’s digital mobiles devices. They not only question the form of the book, but also the concept of the digital reader. After all who need the dedicated eInk reader when you can read it on your smartphone? As many clamour to add media to the work and create extended books, we would question whether the answer for some is closer to home. Are we confident in the extended book, or is it merely a return to the CD Rom days? Is the short story a bigger opportunity to today’s publishing model than all the digital devices, extended books, Book Settlements etc? Writers do not need traditional publishers to produce short stories or even market them. They do need a channel to market, they do need services and devices to distribute and render them, but they don’t need the support infrastructure required to service the book. We personally applaud the Ether initiative but feel it isn’t about their app but about creating the market demand and awareness and perhaps restricting it to an app is like strangling it at birth? Imagine an iTunes repository full of not albums but tracks? All are priced to buy and easy to enjoy. Imagine the story that is finished by the time the train pulls into the station. Imagine a top ten of short reads? Imagine no DRM restrictions and freedom to share and enjoy? Imagine ‘penny fiction’? One of the reasons we read newsprint and magazines is because they are readable, summarised and concise. Imagine having to read a magazine article that took all day or a news report that lasted for hours. The short story isn’t a sound bite or a dilution of literary works it is a literary work in its own right. Its just shorter than the economic print run. Ether Books may not be the answer but we believe it is part of the answer and maybe we are seeing a return of a logical form that connects the writer to the reader. Perhaps the Keitai model will work in the western world after all. Interestingly it starts to offer the opportunity to differnutuate the physical book from the digital one without the level of cannibalisation of the market we see today and also offers a starter pack to build author brands and following and independence from the current ‘must be published or fail’ ethos. It certainly is a far more economic route than multi media for authors. As the dust settles from the skies over the UK, we should take a step back from the London Book Fair and ask whether the absence of travellers was an opportunity missed, or whether an opportunity to change? Today we read that their will be a bigger and better BEA as a result but is this what the industry needs? A 30% reduction in attendance was is significant. However, here was more time to spend with people, loads of empty stands to squat and arranging ad hoc meetings in. There was less rushing between stands every the half hour, like speed daters responding to the bell and forced into playing musical chairs. There was time to spend with people who needed the time, or with friends you barely have time to say hello to. This was certainly the most social and relaxed of Book Fairs. The question at the close of play was whether the cost in money and time was worth the effort. Whether the ‘speed dating’ fair is past its sell buy? Whether its time to change? Not only had the dust hardly settled and we were receiving invites to other industry conferences, details of other events and were left wondering how many social fixes it takes to do business? Although many exhibitors still did good business at LBF 2010, many of those who relied heavily on overseas traders didn’t. There was a shark contrast between certain sectors with some stands merely being occupied. Monday looked like a Wednesday and Wednesday we didn’t even bother to go. In recent years the conference programme has grown to busting point and now overflows. We may be wrong but feel that the conference or seminar programme is now disproportion to the event itself. At a time when there still is are digital this, that or the other seminars or conferences every month with the same faces often telling the same stories, why do the book fairs demand wall to wall of the same? Today we have video conferences, internet, email, social networks and yet we still want to travel to the show. Personally, I look at the colony model that Litopia is creating and see a viable and focused community that is genuinely developing and expanding and which is free of the bums on seats model of yesterday. They are not alone but frankly listening to a 20 minute presentation where half of it is an advert and all too often the other half says little is always time well spent. On the Tuesday we met an author friend who was going to meet their agent and asked was that normal. The response was that the agent was ‘not busy’ and as they were is town it would be good to meet up. They had only met the week before. As the BT advert used to say, ‘It’s good to talk’. So are Book Fairs about bodies through the door, bums on seats, contacts made, taking orders, creating new deals, attending seminars, seeing new offers, or social connections. Is speed dating the best way to meet the new partner? Are 'Black Ships' Entering Japan? 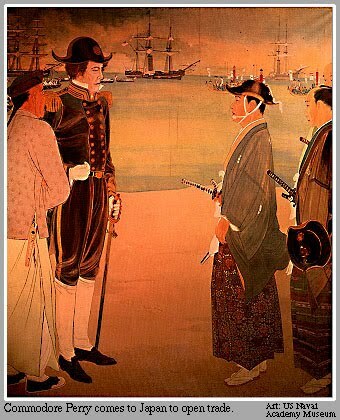 On July 8th 1853 four black hulled US Navy ships sailed into Edo Bay in Japan under the command of Commodore Mathew Perry. The ‘Black Ships’ demanded the opening up of trade. When asked to leave Perry refused and demanded permission to present a letter from President Millard Fillmore, threatening force if he was denied. Perry even demonstrated US naval power by attacking several building with cannon fire. The Japanese government was forced to let Perry come ashore to avoid further naval bombardment by his superior and modern weaponary. The term "Black Ships", in Japan, came to symbolise a threat imposed by Western technology. Japanese communications minister, Kazuhiro Haraguchi and the Electronic Book Publishers Association of Japan have now compared Apple’s iPad to the “Black Ships” that opened up Japan some 157 years ago. Today ebook sales in Japan are significantly higher than even the US but are mainly manga comics and keitia novels on mobile phones. 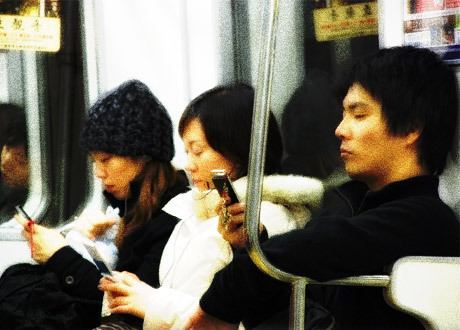 The mobile phone rules in Japan and even Sony and Panasonic have abandoned their ereader business in 2007 and 2008 respectfully. Amazon’s Kindle has not entered the market and no Japanese-language titles are available from its US site. Publishers everywhere are wary on the implications of not the iPad itself but its pricing and how that may affect negotiations with authors and distributors. The Japanese publishing market is very ‘closed’ with publishers already setting retail prices and preventing discounting and with printing, publishing and distribution being strongly interconnected. So why fear these new ‘Black Ships’? The issue is that Japan is once again very nervous of the sight of US traders that can’t be repelled and will change their way of doing business. The Stability and depth of the market is down to its economic balance and the Japanese publishers clearly feel that the Apple effect could imbalance the trade by forcing US pricing models on them. However Japan is suffering a steady decline in books and magazines revenues so will these new ‘Black Ships’ open up the market? We also have to respect that Japanese consumers, are truly mobile centric and that a tablet may be too big for them to swallow on the move. Is Appleworld Closing Its Borders? The iPad is certainly living up to the market expectations and irrespective of the hype and the knocks, it will change the media market and computing as we knew it yesterday. Today we read that Appleworld have taken further steps to tighten its control and further restricted what software tools developers can use to write programs for the iPhone and iPad. The software development kit will now be restricted to just three tools and any application submitted to Apple that does not use the mandated tools will now be rejected. Some will say that section 3.3.1 of the development licence is now aimed more at Apple's rivals than raising the quality of code. A new Facebook group called "I'm with Adobe" has quickly gathered some 6,000 members. Ironically, Adobe have released a software package, Creative Suite 5, which can turn Flash code into iPhone code, but under the new terms and conditions using Creative Suite 5 would lead to an application being rejected. Technology has a habit of working in cycles of favour. What is the ‘must have today’ is often usurped by another and another and so on. So were will the Apple competition and threat coming from? The current eInk readers will only appeal to those who already have them. They look jaded and as we have said before, who wants black and white TV when colour is available? Colour eInk is 'still coming' but it requires the consumer to face a buying decision and that will not be restricted to one technology choice in the future. Smartphones today are polarising around the three major players RIM, Apple and Android and leaders such as Nokia and Sony Ericson and innovators such as LG and Samsung are struggling to compete in what is now a different world. Players such as Palm came and are now going.The key no longer is the device but its ecosystem and compatibility with others and one's lifestyle. Tablets are iPad today and the US demand for the latest ‘must have' has now delayed its international release by one month. 300,000 iPad units were sold on its first day and 500,000 in its first week. Now rumours are circulating that Google are to deliver a ‘computing’ tablet and not just another ‘media’one. The tablet is to be built on its Android platform. This is an obvious threat just as Android is a strong contender against the iPhone and the Android and Apple apps stores are also locked in combat. If Google were to take a similar 'open approach' to supporting other devices that they adopted in the smartphone market, an Android tablet could come on many devices and have great appeal. Rumours are also rife that HP is working on an Android tablet. If Google were to fully embrace Adobe there could be an even greater interesting situation. Flash remains a major challenge to the iPad and has Steve Jobs in constant denial. Adobe still own much in the file formatting, design, image and open DRM space and as we move from hard to soft DRM Adobe is also best placed to innovate and bring standards and conformity to the market. A Google, Adobe loose alliance who be formidable within the media space. The camera is also a major issue. After all we all remember that it was the VHS video camera that killed Betamax and a media device without the full capabilities to capture all media is no more than an obvious limited prototype. There are others such as the German offer from Neofonie which was badly branded the WePad. Do marketing people every consider the connotations of the names they choose? Microsoft is also out there with Windows 7 and busy looking for a hardware partner, but manufacturers may still want to push netbook sales and not expose them to tablet cannibalisation. Apple’s ‘use my tools or out’ xenophobic approach may still encounter an unexpected backlash. "Traditional Trade Book Publishers are Scared"
He recognises that "Traditional trade book publishers are scared.” He explains, “The world that they have known, of print books and brick-and-mortar bookstores—the whole physical distribution system—is on the cusp of changing fundamentally." We agree that we are approaching a tipping point but not one that we often write about. The tipping point is that digital publishing is now publishing. This is a fundamental change and is a far more challenging to all than mere ebooks and digital devices. Today we talk about ebook pricing and believe that a return to price fixing and control is the answer. Olson says, "Publishers are worried that more and more customers are going to get used to the sort of cheap prices that will undercut print books. As with other media products, there's the perception that all things digital should be less expensive, or free. So I think this most recent skirmish has resulted in a truce at most… I don't know of many successful examples of pricing a product based not on what it costs or what people want to pay for it, but based on another format that is completely different, just because you want to keep that format alive." The reality is that the genie is out of the bag and agency pricing may look attractive but in the long run it will hurt publishers and authors more than retailers and consumers. The result may be to also drive authors to digital self publishing. We must be careful for what we wish for. Olson then brings up the question of the future and asks, ‘The fundamental question at the very bottom of this is, will people read books at all?" Yet within the same article when he looks at textbooks he sees, " the dead world of the textbook." He comments, “We're not generally attached to our textbooks. If they go, nobody but the textbook publishers will cry." So is he thinking that the format merely flips from paper to screen, or does he see a change in the content itself? He is excited about digital “with additional features like a video interview with the author? An e-book can be a much richer and deeper experience than anything we've seen before." However is this contextual thinking about the content, or context? Some would say that what he says about textbooks could equally apply to all books. Who cries then? Surely publishing is more than mere text? Mass reading is only some 150 years old but stories and information has been with us for ever. We need to understand that publishing is about content, promoting, packaging, selling and connecting creators with consumers. Publishing is fundamentally is a rights business that trades rights access to content and controls its usage. ‘Publishing’ has no divine right, it only survives as we know it today as long as it adds value between creator and consumer. The quote is from UK Prime Minister, Gordon Brown and was given in an interview with the Radio Times. So at a time when the Digital Economy Bill is hardly dry and on the table and a general election is only weeks away, Brown has decided to speak his mind against Rupert Murdoch's plan to implement paywalls to access the Times and Sunday Times online, arguing that internet users will not abide being told to pay for news content. Murdoch plans to start charging for online content from June, with the Sunday Times and Times, with the Sun and News of the World to follow. So is Brown's opposition based on the fact that Murdoch's Sun recently switched allegiance from supporting Labour to backing the Conservative, a support for the creative industry and journalists who the recent bill said needed to be rewarded, or is it a realisim that business models must change and the ‘free’ economic models are here to stay? It will be interesting to read how Murdoch’s editors react. The Radio Times has a weekly circulation of 1,000,648. The South Korean government wants to limit the time children of school age spend playing online games barring online gaming access between midnight and 8am. The also want to degrade the individual’s internet connection after they have been logged on to certain games for a long period of time. Parents can also choose to be notified if their identity is used online. The Culture Ministry expects games developers to implement the plans. In a backlash to the recent horrific story where a couple spent some 12 hours a day in internet cafes raising a virtual child online while their real baby daughter starved has made the headlines. The couple were charged and found guilty of negligent homicide. How can the government succeed? How do you know who is playing what, when and for how long? The answer is that South Korean national identity numbers are used by all young and old and are seen as the means of identification. The Korea Herald reports that 3 popular virtual world games, Barameui Nara, Maple Story and Mabinogi, intend to introduce the curfew later this year and "Dungeon and Fighter" and "Dragon Nest" will pilot the connection slowing scheme. Surprisingly a total of 19 role playing games which represent the majority of the online gaming market in the South Korea will join the initiative. However honourable the initiative is the identification is down to an ID card which can be borrowed, stolen and no doubt spoofed. It hoped that they don’t switch off all the lights after midnight, or don’t stop someone reading for too long. It will be interesting to hear from the market when we are there next month to speak at their Book Fair. It doesn’t take a Mastermind to recognise that Palm is in trouble. It banked that its Palm Pre and Pixi smartphones could compete with Apple and BlackBerry and caught a cold. Speculation is now about who could step in a buy them with companies such as Dell, HP and Nokia being muted. According to the Reuters news agency, Palm hired bankers last week to explore options for the firm, including a sale of the company. The big question is why anyone would buy them given that the desirable asset, its webOS operating system, may be its Achilles heel. With many others fighting for space why by a failure irrespective of how good it was once rated. Why not just go Anroid. In 6 months, Palm's stock has dropped 69%. It has a stock market value of $870m (£563m), but it's shares rose more than 17% on the reports of a possible sale. We now have rumours of a Blackberry Tablet and why not? A number of sources claim that RIM has placed an order with supplier Hon Hai, the company who produces the Kindle screen, for 8.9" displays for use in a tablet. If RIM want to head off corporate deflectors moving to Apple they have to have a tablet offer for that paperless office. In other tablet news Qualcomm Technologies has been working on a special technology capable of bringing high-quality colour without the need for backlighting or colour filters. The Mirasol is based on a reflective MEMS-based technology, called interferometric modulation (IMOD). The technology uses low amounts of power and is highly reflective. The screen is a 5.7” XGA colour display that should soon enter the ebook and the tablet-PC markets. To date Twitter, has been happy to allow others to tools built has started to take control. However, Twitter raised $100 million in September and now has a war chest with which to change that. Twitter has started by announcing that it has agreed to acquire Atebits, a start-up that makes the Tweet apps for Mac and iPhones and also that it ‘assisted’ RIM (Research in Motion) to build an “official” Twitter app for BlackBerrys. When Twitter realized it needed its own search engine, it bought Summize, which made one. It also has bought Mixer Labs, which helps developers build location-based services now it looks like they want the apps and have bought Atebits. So will Twitter accommodate up to start-ups developers such as Tweetie, Twitterrific and UberTwitter , or acquire them, or do it themselves? It cannot hire engineers quickly enough to support the explosive growth of the company, so buying other features is a way to grow quickly. The acquisition is Twitter’s third. It previously acquired Summize. Remember those car maps we all had difficulty storing as they were either on the large size or fat with pages. We had one for our town or city and one of the country and we had to regularly buy the latest annual edition as the old one was worn out or feared out of date. Can you remember only a few years ago when the hottest Christmas present was a SatNav and TomTom’s became the ubiquitous toy to finding how to get from A to B. Who need the ‘knowledge’ (London taxi driver’s test of street maps) when you had a StaNav fixed to your windscreen telling you were to go and even correcting your errors. Then the car manufacturers fitted them and an optional extra. 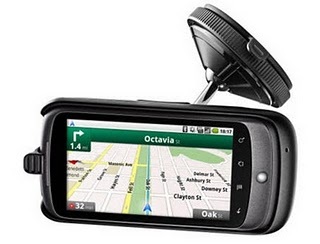 Google is now stocking car docks for its Nexus One, effectively making the satnav redundant. In addition to holding your Nexus One, the car dock also charges your phone’s battery, has built in speakers and volume controls, lets you use your phone handsfree, provides voice and navigation apps and costs $55. We now have the Google maps explosion, satellite pictures to zoom in on your neighbour back garden, street maps which take us down onto the tarmac and the global maps to arm every tourist before he leaves. So in a relatively short period we have moved from a dearth of information to a potential overload. From single dimensional viewed maps to multi dimensional mobile maps on demand and to fully integrated digital maps in multi functional devices. If everywhere on land and sea is mapped, interactively accessible and feature rich, what comes next? If maps that once had commercial value are now free to all, who will invest in tomorrow’s mapping? If we can tag an individual, a vehicle, literally any thing to GPS, are we effectively creating a surveillance state? What are the privacy limits we would wish to see? If any one organisation or government knows where we are at any point day and night how privacy can be protected? Do you know you can save by making documents print in Century Gothic as opposed to Arial. Because different type fonts require different amounts of ink to print, it can effect the number of new printer cartridges you buy. Printer.com, a Dutch company has researched printers and fonts and has convinced University of Wisconsin-Green Bay to change the way it prints. They claim that the change could save them between $5K and $10K a year. Currently they spend some $100K per year on ink and toner cartridges supporting some 6,500 students so are expecting a 10% reducing in print consumables with the font switch for all documents including email. Printer.com claim that Century Gothic uses about 30% less ink than Arial and that this is driven by the thickness of its lines. Obviously a font with “narrow” or “light” in its name is better than its “bold” or “black” counterpart. However, just when you thought that the logic and the solution was straightforward, there is the question of the font width. Century Gothic font is wider than Arial and a Arial page may extent to a second page if printed in Century Gothic. Then there is the real test of readability. We thought that the article in eschools.com was amusing and the effort expended probably in excess of the savings made but to some any saving is a good move in hard times. Everything today appears to be Apple flavoured and devotees are certainly immersed in the glow of Appleworld. While everyone in the UK waits to the 24th April to see their first iPad on the tube, coffee shop, or lounge bar, PCadvisor claims that they are already here and available. Their report claims that 2 resellers Purelygadgets and Simply Electronics, are not only listing the device on their websites but have iPads available to send out immediately. Purelygadgets is offering the 3 versions of the Wi-Fi iPad; 16GB, 32GB or 64GB capacities priced at £689.99, £785.99 and £869.99 respectively and Simply Electronics £545.95, £649.95 and £749.95 respectively. So why wait? Why not be the first to be seen carrying one, or coolly reading something while all around stare? How many will be walking the London Book Fair aisle nonchalantly showing one? Will it be even more hip not to have one at the show? The Appleworld machine doesn’t stop and they have now announced OS4. Not does the new operating system add 100 new features but it can finally do what others do today - multitask. It also heralds yet another model at the end of June 2010 during Apple's annual Worldwide Developer Conference. Unfortunately because of hardware demands, only the latest iPod Touch and iPhone GS smartphones will be able to offer multitasking capabilities. Never mind we can all do the annual upgrade and old models can be handed down to the less hip relatives. The announced update also includes a mobile advertising platform ‘iAd’ that will be used to place adverts in applications made by third parties. iAd pitches Apple head to head with Google and its successful advertising model. As always Apple also want to make revenue sharing simple giving 60% to external developers, but significantly, they wish to change the paridim and have the adverts inside the apps. That way they don’t lift a finger and collect 40% of revenues – smart move. Having lost out to Google on AdMob, Apple acquired Quattro Wireless mobile advertising network in January. This is key to iAd and they obviously have their sights set a lot higher than the $300 million they paid for Quattro. Of course Facebook and Twitter are also thinking advertising. They also force more to adopt HTML5. Apple claim to have sold 450,000 iPads, 600,000 electronic books and 3.5m applications downloads for the iPad in the first 5 days. Impressive figures and a determination to convert all to Appleworld. So we see ‘giant battles’ as the likes of Google and Apple square up to each other, Amazon tries to outmanoeuvre them and Adobe ploughs its own furrow but still hold many of the content keys. There is obviously always Microsoft but like the UK Liberal party don’t expect to see them win. Some may not survive the next decade. The Digital Economy Bill has been passed by the House of Commons and will become law before the general election. The Bill enables ministers to force ISPs to disconnect households or businesses has been controversial and raised significant public opposition with over 20,000 emails , thousands of tweets and letters to MPs of all parties. It has shown the digital divide that we live in today. On one side we have the consumers who believe they should be able to share and copy their files and on the other the media industry that demand payment for the use of them. There are many grey areas, no one is right and no one is wrong and the sand that we all stand on is continually shifting. We believe that the IP addresses are an unsafe identification of infringers. A fact that has been proven even before this law is past. We also believe that targeting the owner of the IP address is counter productive and makes open WiFi impractical and fraught with risk. We also believe that people should be innocent until proven guilty and not the other way around. Despite amendments and the initial experience of the French law, these clauses have been passed. We also believe that clause 43 which was in all intents a licensed ‘land grab’ of orphan works was rewriting copyright without full debate. Politicians being politicians love to make deals and in return for their support of the Parliamentary 'wash up' of the bill, the Conservative Party demanded the exclusion of Clause 43 from the Bill. So some good was done. However the Bill was passed by the division bell and MPs who merely voted at the end. The official Hansard text of the 5 hour debate (a 243-page PDF, starting on page 836 ) is not a page turning experience but is a frustrating read and insight into how bad law can be ‘washed up’. A critic of the bill has posted details of who bothered to attend, who merely voted at the end and obviously who didn’t bother, which if accurate also makes sad reading. Shadow culture secretary Jeremy Hunt who did not oppose the Bill called it a "a weak, dithering and incompetent attempt to breathe life into Britain's digital economy” and that if they came to power in they would fix any problems with the Bill, "if it turns out that the legislation is flawed." But why support the creation of bad law in the first place? The Liberal Democrats, who advocated openly that the Bill should be scrapped and reintroduced in the next Parliament, had just one representative at the second reading. Some say that it never rains just pours. It must feel like it is certainly pouring down on Google’s legal department as it prepares to face yet another copyright law suit. We have had to issues on YouTube, the French court finding them guilty and then before their appeal is even heard more French publishers starting another case. We all await the decision on the Great Book Bank Robbery and their most audacious heist on orphans works. Now The American Society of Media Photographers, the Graphic Artists Guild, the North American Nature Photography Association and the Professional Photographers of America, as well as individual photographers and illustrators have grouped together to fire another shot across the corporate pirate’s bows. The planned class-action lawsuit against Google asserts that in digitizing millions of books from libraries and also with their “partner program,” they infringed on the rights of photographers and other creators of graphic works. The original case action on the book scanning largely excluded photographs and other visual works. In doing so it was almost inevitable this would happen. Graphics, illustrations and photographs are often used under strict licence in books and may be restricted to renditions or even editions. They are often fee based, may be purely complimentary or integral to the text content. Imagine an art book with no art, a childrens book with no illustrations. We have seen many books digitised with an illustration boxed out because the rights did not extend to digital. We have publishers who have some titles not digitised due to the issue of illustrative rights alone. It brings home once again the point that a rights business needs a rights clearing house and registry for all, that not only covers the basics, but is capable of dealing with permission and associated rights in a digital world. Will Authors Make the Digital Translation? So you are an established author and have a healthy following, but feel lost in the midlist with reducing advances and hard battles to get published. You feel that you have something to say and more money to make. Can the new digital era offer you a way forward, or will you simply get lost in translation? J.A. Konrath’s blog claims a way forward and also shows that authors can make it by themselves with some digital application. He's not a new author and has built an established following as a writer of mystery, horror and sci-fi. He has a backlist and has taken the wise move of owning his digital rights. His digital sales aren’t huge but respectable and growing. Amazon is about to make him richer as they will allow him to soon earn 70% royalty. He is pumped up as he is already making reasonable Amazon, but the agency model certainly works in his favour. He is now getting his ebooks up on other sites and expects much more and is full of the enthusiasm that only doing yourself can generate. He firmly believes he can sell more ebooks at lower prices than a publisher and earn more to boot. He prices his ebooks $1.99 and $2.99 and has even moved one up to $4.99. Under the 70/30 split things suddenly get a whole lot better! He thinks the $2.99 could become the new bargain rate for authors such as himself and one that which will look very attractive against the ‘safe’ publisher pricing. We would recommend all authors to read Joe’s blog and maybe ewalk alone. 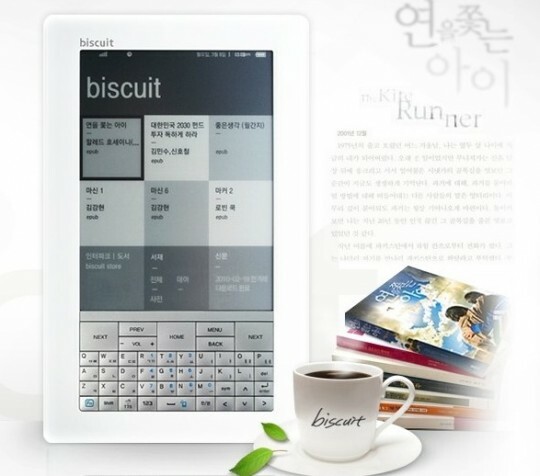 Korean shopping heavyweight Interpark hope to take the Biscuit in their market with their eink ’lookie likie’ called Biscuit. Normally this would only just touch our radar and be ignored as yet another short life expectancy story but we have been invited to speak at the forthcoming Korean Book Fair in May so everything Japanese and Korean is attracting our attention. The Korea Electronic Publishing Association have announced a series of free education programs aimed at teaching publishers and writers how to create e-books and give an overview of the e-book market. It is interesting that an increasing number of Korean publishers are finding it difficult to publish print books. The Korean Publishers Association claim that the shrinking book market has resulted in more than 90% of the country’s 31,700 registered publishing companies not publishing paper books last year. The association will also help participants sign contracts with distributors and have a goal of helping Korean publishers create some 100,000 e-books every year. As with everyone else they believe the e-book business is a different and estimate, Korea’s e-book market will be worth around 1.06 trillion won ($935 million) by the end of this year, and more than 2.4 trillion won in 2012. As always it will be a case of two ears and one mouth on our visit and learning and exchanging ideas and insights in May. We hope that it may be more than the cherry tree that is starting to blossom in the East. Litopia is a pioneer publishing online community run by author, agent and literary agent, Peter Cox. Its focus is publishing and writers and aims to help both the emerging and established writer. We have long supported Peter and his team and have contributed to the stimulating and often highly amusing ‘Litopia after Dark’ podcast. In fact last Friday we were on the panel discussing the Digital Economy Bill and with US lawyer and panellist Donna Ballman the emotive subject of agency pricing. Litopia’s podcast is now being extended and creating Radio Litopia, offering exclusive online broadcasts for writers. Radio Litopia will cover continue to coverl a wide and diverse set of issues related to writing and the publishing industry. It can be listened to on your iPhone, smartphone. Laptop, netbook – on the move and is truly breaking ground that many others fail to see or understand. Litopia’s community service to writers now supports Litopia Daily and online communication, Litopia After Dark and now Litopia Radio. It is different,it is topical and it is not afraid to discuss what writers want to discuss. The interesting approach is that Peter continues to push the boundaries and redefine community communication in a way many in publishing fail to grasp. Litopia is building a community that is more than a social network and one that escapes from that self publishing, vanity approach adopted by others. He isn’t after the slush pile and that is what confuses many. He isn’t trying to create a cosy book club or a book review show. He is just connecting writers. Scribd have posted an internal letter to all staff of their innovative HarperStudio stating its closure. HarperStudio was set up as the alternative way forward; with low author advances and high profit splits, high publisher branding and an ‘open’ online presence. Just 2 years in it is has been somewhat quietly closed. Did HarperCollins give its imprint enough time what did they define as the measurement of success? Did stat up and corporate cultures clash as they often do when the new doesn’t align to the old. We remember a similair case in our own past when the accountants simply saw ‘one goose’ and where incapable of accounting for the golden egg. Maybe experiments should be done quietly without the fanfare and proof of concept achieved before the world is told and the marketing hype started. It begs the obvious questions about ‘effective, creative and sustainable’ and also about experimenting from within the traditional environment. However we wait to hear what lessons were learnt and what went wrong. Will the MP Please Answer The Question? The Digital Economy Bill does not go away. Twice I have written to my MP Jim Fitzpatrick MP and twice he has failed to even acknowledge the points of concern raised. These relate the fact that IP addresses are not a safe identification of copyright infringement and that the IP owner may not be the guilty party. The fact is that as written the issue can effect and criminalise large families, people sharing communal hubs, businesses, people providing WIFi hot spots etc. You are not innocent until proven guilty, but rather guilty until proven innocent. We also raised the issue of clause 43 which enables collection agencies and parties to effectively land grab and authorises a grant of copyright in respect of works in which copyright is not owned by the body or a person on whose behalf the body acts. We now potentially give the Secretary of State power to approve clause 43 applications. The first letter said that he had raised the issue with Stephen Timm MP, the Digital Minister and enclosed a 3 page letter written on 25th January in response to a letter raised by Mr Fitzpatrick on 1st December on behalf of another constituent. The 3 pages didn’t cover the points we had raised and frankly some would suggest was a fob off. This was pointed out and the issues again raised to our MP. We have again responded asking for a response to the points raised and remain hopeful that Mr Fitzpatrick may read it, some may say for the first time. If this is reflective of the level of apathy that MPs have in responding to their constituents, it begs the question on the level of diligence they apply in creating the laws themselves. Pinch Yourself its April 1st! It’s April 1st and time for silliness. Which are a April fool’s ‘free’ joke and is just that and which are serious? Techcrunch reports that for two day only period, when you buy a Dell notebook or desktop, you get a Sony Reader Pocket Edition free. The ereader is Sony’s cheapest version and has no wireless connection and so you will need the Dell to connect. Its like buying a modem and getting the device free! US Seton Hill University is to provide all first year undergraduate students at with a 13" free MacBook laptop and an iPad. The students will be able to use the devices for both classes as well as for personal use. After 2 years, Seton Hill will replace the laptop with a new one which the student can keep when they graduate! A leading European toy and games reseller is to launch a free ebook programme. When you buy an ebook reader from their stores you get a free bindle of ebooks. The reader is yet another eink ‘lookie likie’ that claims all the usual features, but the epub files downloaded will not be DRM protected. This maybe great news for the users but they are DRM free because the devices don’t support any DRM such as Adobe’s ACS4. The result is the user can never buy their future books from many sources, may be restricted to public domain and vanity titles and of course pirates.